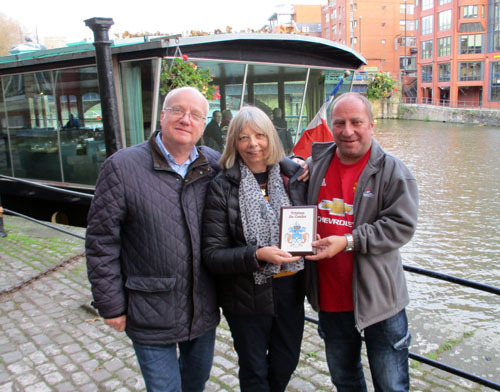 Chief Islander Ian Lavarello continued his 2018 UK trip on Monday 19th November when he travelled by train from Salisbury with Tristan Government Representative Chris Carnegy to meet Sue Blanchard-Williams, who has supported the Tristan Tourism Department linking with cruise ship companies, and Tristan Association Newsletter Editor Richard Grundy, who taught Ian on Tristan 1982-1985. 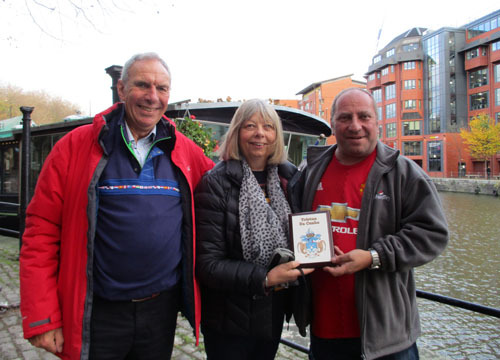 Over lunch at the Glass Boat restaurant on Bristol's Floating Harbour, the group enjoyed a lovely meal and had a wide ranging discussion of Tristan matters. 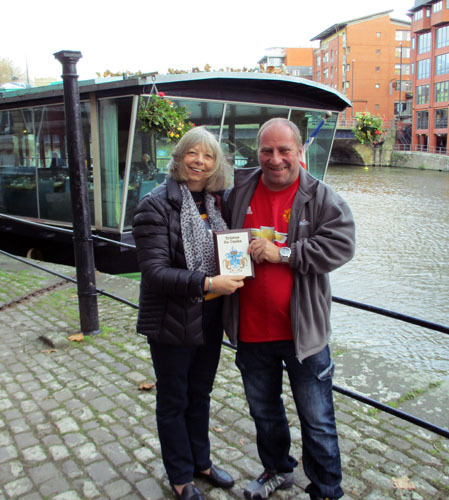 Ian presented Sue with a Tristan plaque in recognition of her valued voluntary work for the island. Ian then travelled on to Manchester to re-join his relatives. with the Glass Boat behind.